And that might be bad news for divorced women heading toward retirement. The budget deal out of Washington this week is getting applause for phasing out a Social Security loophole known as “file and suspend,” which allowed people to claim more money in benefits via their spouses. But something important has been largely left out of the discussion: People weren’t just using the strategy out of greed. They were using it to boost what are often less than adequate income replacement levels in retirement. The “file and suspend” hack dates to 2000. It came about as part of legislation designed to encourage people in their 60s to remain part of the paid workforce by eliminating caps on what seniors could earn and still claim Social Security. File and suspend was almost certainly inadvertent, though—a byproduct of how the legislation was worded. Two researchers at Prudential, James Mahaney and Peter Carlson, published a working paper in 2007 explaining how to pull it off. File and suspend allows one member of a married couple to file for his or her Social Security benefits on reaching the full retirement age but then suspend them. This allowed the lower-earning partner—usually the wife—to take her spousal benefits when she turned 66, while the other member of the marital team—usually the husband—continued to work. When the file-and-suspend spouse turned 70, he would once again claim his benefits, this time for good. At that point, the other partner forgoes Social Security’s spousal benefit in favor of her now-larger personal monthly stipend. File and suspend was the Social Security equivalent of having your cake and eating it too: No longer did you need to decide between either taking earlier but lesser benefits or waiting for the maximum payoff at a later age. Boston University economics professor Laurence Kotlikoff, one of the leading champions of file and suspend, estimates that the loophole allows Social Security recipients to collect up to an extra $50,000. Kotlikoff himself has all but built up an empire devoted to teaching people how to use the regs to maximize their Social Security benefits, offering online software and co-writing a bestselling book, Get What’s Yours. As word got out about the file-and-suspend loophole, outrage grew among certain budget-minded and good-government types, as well as many who were concerned about Social Security’s finances. They viewed file and suspend as a scam that was putting increasing strains on the system. “Eliminating this option is an easy call,” Alicia Munnell, director of the Center for Retirement Research at Boston College, wrote last year. “When to claim Social Security shouldn’t be a question of gamesmanship for those with the resources to figure out clever claiming strategies.” The Obama administration agrees, and has been seeking to end file and suspend since 2014. These articles and seminars often discussed a variant of file and suspend known as “restricting an application,” a similar strategy that could be a boon not just to the married but also the formerly married. Kiplinger recently suggested it as one of the “Best Social Security Strategies If You’re Divorced.” This is no small thing. For a woman, divorce is a greater risk factor for poverty in old age than widowhood or never getting married at all. That extra Social Security boost can help women whose savings were depleted by divorce expenses, whose finances never fully recover from the end of their marriages. More than half of Americans over the age of 65 rely on Social Security for half or more of their annual income. 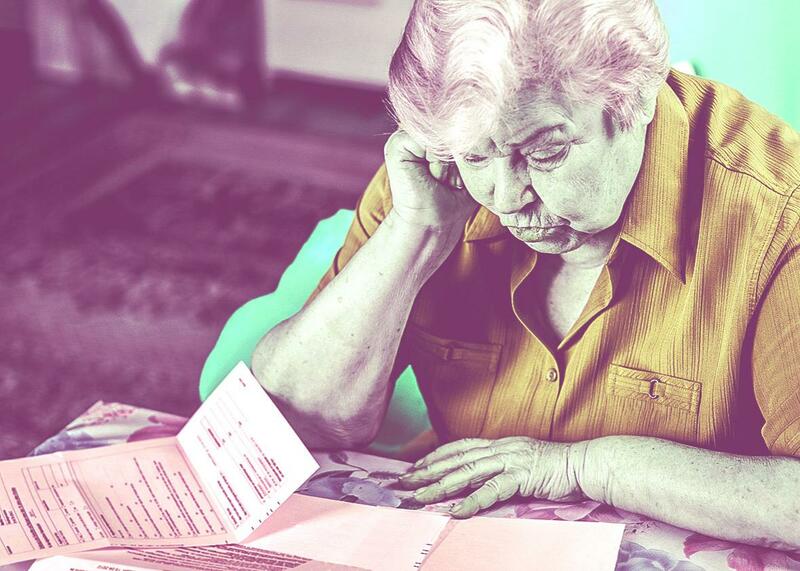 A recent survey by AARP found that among those over the age of 50, almost 90 percent said they would rely on Social Security for the majority of their income when they cease working. That’s not a path to riches: The average benefit for a retired worker is $1,337 a month, and the average spousal benefit is $684. At the same time, the worth of the average Social Security payment has declined over the years. In 2002, it replaced about 40 percent of income. That’s projected to fall to 36 percent by 2030, and that’s before medical expenses are taken into account. None of this is to say that file and suspend is a great way to ensure the financial futures of the elderly. It’s scattershot, and the majority of Social Security recipients didn’t know about it in the first place. Others needed as much money as they could get as soon as they could get it and couldn’t afford to suspend any benefits. That’s not exactly good social policy. Even as Republicans running for president talk about the need for entitlement reform—by which they mean cutting Social Security benefits—making the elderly take a pay cut is not a popular position among the voting public. A survey conducted last year by left-leaning pollster Lake Research Partners found that just under 80 percent of respondents supported raising Social Security benefits, most notably by raising the payroll tax cap, which is now $118,500. It’s an idea that’s been promoted and supported by Democratic presidential candidates Martin O’Malley and Bernie Sanders; Elizabeth Warren has also said she supports increased Social Security payments. As for file and suspend, major players were still talking about it as a bargaining chip in a bigger Social Security reform package as recently as the end of last week. Jack VanDerhei, the research director of the Employee Benefit Research Institute, a leading D.C. center for policy-oriented retirement data, speculated that if the strategy were discontinued, it would be with a long lead time and as part of a systemic overhaul of Social Security. “It probably would be used to offset the cost of increasing the minimum Social Security benefit for low income beneficiaries,” he said in a WealthManagement.com article. Perhaps the file and suspend loophole should be closed. But that opens up a bigger discussion about Social Security and its future. A quickie deal between two political parties with little in the way of public discussion until the past 72 hours is not the way to go. Think of it this way: One man’s loophole is another woman’s dinner.